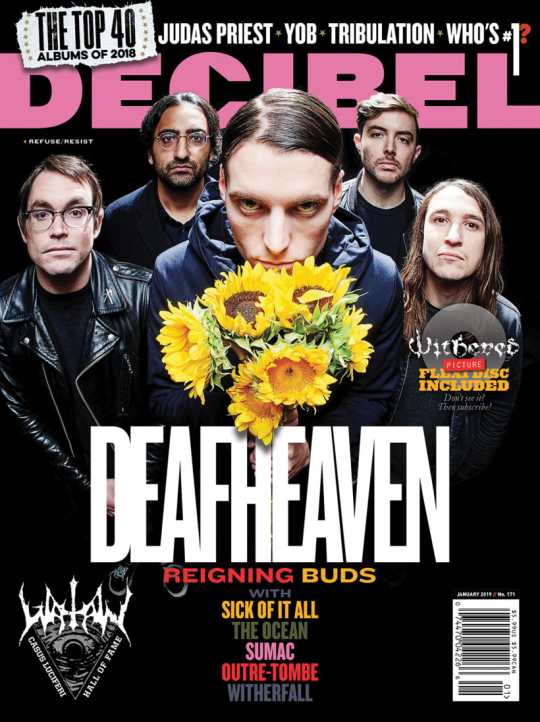 Making not just their Decibel cover debut, but their North American cover debut, ever-controversial post-black metallers Deafheaven are here to give their side of the story. Including the objective and 100% accurate Top 40 Albums of 2018 feature as well as an exclusive Withered picture flexi featuring art from legendary artist Paul Romano, the latest issue of your favorite metal publication is sure to turn some heads. Get your copy today!